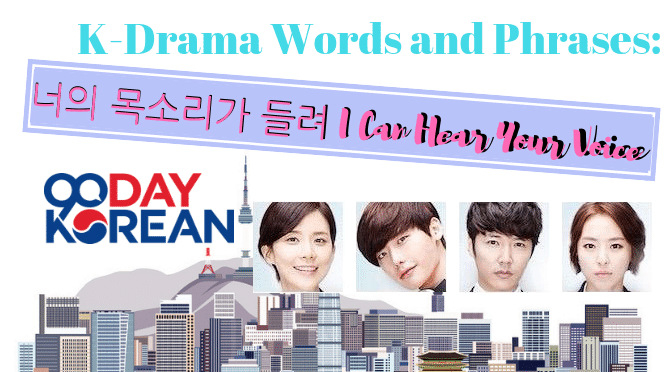 At 90 Day Korean, it’s no surprise that we love all things Korean and Korean dramas are no exception! 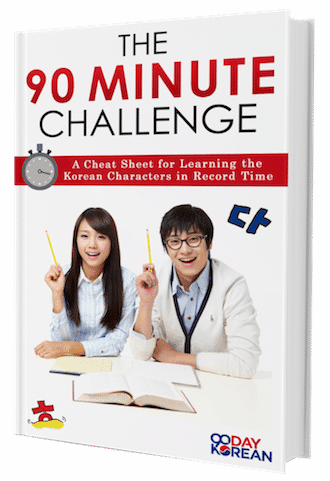 We’re big fans of studying Korean but also doing it in a fun and interesting way. 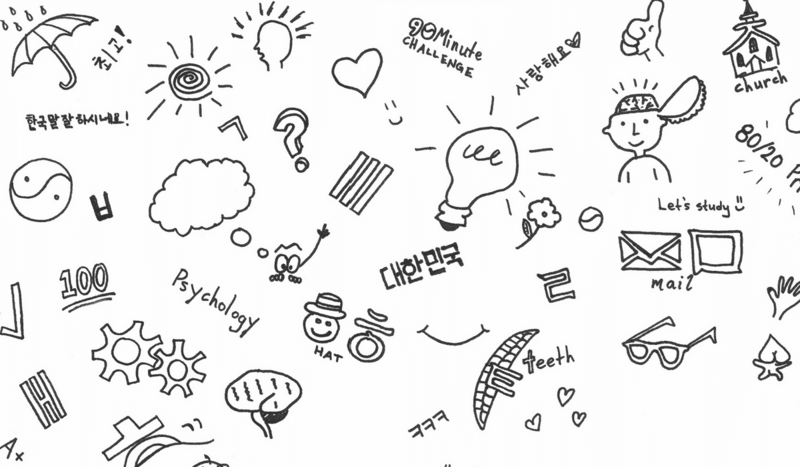 Whether it’s studying with television, music, or movies, learning through a medium you enjoy is a surefire way to learn Korean fast! So for that reason, we’re going to start an article series of some of our favorite dramas and words you can look for to supplement your Korean studies while you watch. So heat up your popcorn and grab a pencil because we’re reviewing the 2013 hit drama 너의 목소리가 들려 (Neoui Moksoriga Deullyeo) or in English, “I Can Hear Your Voice“. Let’s get started! This drama revolves around the lives of two people who have been entangled by an unfortunate event at a young age. Jang Hye-sung struggled with poverty and her childhood. When she was a high school student, she witnessed a murder happen. As a result, she stood as the witness who gave the decisive testimony that convicted the murderer. 10 years later, she became a lawyer. While Hye-sung was making her way as a lawyer, Park Soo-ha was looking for her. He was the son of the man murdered 10 years ago which Hye-sung witnessed. When the murder case happened, Park Soo-ha developed a special ability to hear the thoughts of people around him. As they meet, Jang Hye-sung and Park Soo-ha join forces as they try to unveil the truth behind the cases Hye-sung handles. This drama was aired in South Korea in 2013 and caught the attention and love of many Koreans. It garnered an average of 20% viewership in Korea which is not easy to get with all of the high quality competition of good programs. One of the many good things about this drama is mainly the story, credit of course going to the writer. It has a legal/fantasy theme coupled with a “noona-dongsaeng” romance. Although it has a flavor of romance, it didn’t cause any imbalances in the story. There are also scenes that are quite heart-warming. Another factor that makes this drama captivating is the fast pace of the story and the fact that the writer did every character justice. Probably this was one of the main reasons it was so popular in Korea. Aside from that, Lee Bo-young, Lee Jong-suk and the whole cast did a great job in portraying their respective roles. They made it seem like they were real, making every character engaging. This drama begins immediately showcasing the special ability of the male lead character. Park Soo-ha is a high school student who can hear people’s thoughts without them speaking aloud. At a high school a group of students are about to carry out a prank on a female student when Park Soo-ha happens upon the scene and is able to hear each of the students thoughts. Attempting to step in and taking the bait, a brawl between Park Soo-ha and the leader of the bullies occurs. His classmates are surprised that he wins the fight. This episode explains when and how Park Soo-ha acquired his special ability. It started at a young age when he and his father had an accident. Unfortunately, his father died in the accident. However, when the accident happened, Park Soo-ha saw the man who drove the vehicle that struck them. The man approached and his father asked him for help. Instead of helping, Park Soo-ha heard the mind of the man saying that he needed to kill the man on the spot. This suggests that it was not an accident but in fact a murder. Also in this episode the female lead character’s life is explained and why she became the person she is. A lawyer holding a public defender position, she worked to become a lawyer because she experienced injustice when she was young. The a daughter of a house helper working for a rich family household, she was blamed for hurting the eyes of the rich family’s daughter during her celebration for getting the highest score in the school. She was blamed for something she didn’t do but no one believed her because she was poor. 왜 그래 wae geurae What’s wrong? 내가 어떻게 이긴건지 naega eotteoke igingeonji How did I win? 아픈데는 없어 apeundeneun eopseo Are you not in pain? In the second episode, the story focuses on a case that would lead Park Soo-ha to meeting the woman he has been looking for all these years, his first love. Go Sung-bin, the female classmate of Park Soo-ha who has a crush on him, found herself involved in a case that killed one of their classmates with her being accused of the crime. This case came into the hands of Jang Hye-sung, at this time a public defender. It’s published in a newspaper that allowed Park Soo-ha to find Jang Hye-sung who he has been looking for all these years. It was Jang Hye-sung who gave the decisive testimony that convicted the man who killed Park Soo-ha’s father. 이게 무슨 소리야 ige museun soriya What is this sound? 머리 좀 때리지 마! meori jom ttaeriji ma! Don’t hit my head! In this episode, the battle to find out the truth behind Sung-bin’s case continues. Hye-sung confronts Seo Doyeon, a prosecutor who was present when Hye-sing was accused of blinding the rich girl. While the case is ongoing, Park Soo-ha and Jang Hye-sung teamed up to help Sung-bin. However Dohee, the victim, wakes up from their coma and is asked to testify before the court. This was welcomed by Hye-sung because she was confident that her client didn’t commit any crime towards Dohee. However, the victim falsely testifies against Sung-bin which allows Seo Doyeon to humiliate Jang Hye-sung. This incident reminds Jang Hye-sung of the humiliation Seo Doyeon gave her when they were in highschool. Also in this episode, the killer of Park Soo-ha’s father is released from prison. As he gets out of prison, he starts searching for Jang Hye-sung for revenge. But, Park Soo-ha will give his all to protect Hye-sung from him. 이상입니다 isangimnida That’s all. / I rest my case. 이따 재판에서도 이거 부탁한다 itta jaepaneseodo igeo butakanda This is my favor for the next trial.